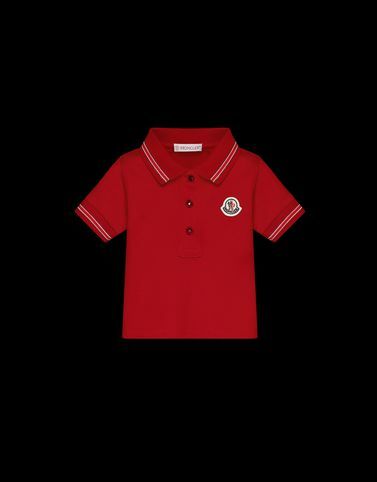 The short sleeve polo shirt is one of those must-have wardrobe pieces for every little boy. The little boy that wears Moncler, however, has an edge and an attention to detail that is evident in the striped fabric that makes the collar and cuffs stand out with an essential touch of colour. The size you selected is a 12-18 (Months) and corresponds to the 12 (MONCLER) shown on the label.